The growth of Big Data and new technologies brings an ever increasing amount of data being used and stored all over the enterprise, including cloud storage apps. Confidential and compliance data resides on PC’s, file-shares, Exchange, PST and OST files as well as off-premises in the cloud. Large amounts of Data must be classified, protected and monitored. File level and Directory level access controls must be implemented, a task that manually is too difficult and time consuming. Furthermore, one must identify both structured data such as PII, PHI and PCI as well as unstructured data including intellectual property data assets. Often times such data appears in images which must be redacted (anonymized). GTB’s Data Discovery helps organizations locate and classify sensitive data, find out how it is being used, and protects it against loss, theft or leakage. What is GTB Data Discovery? 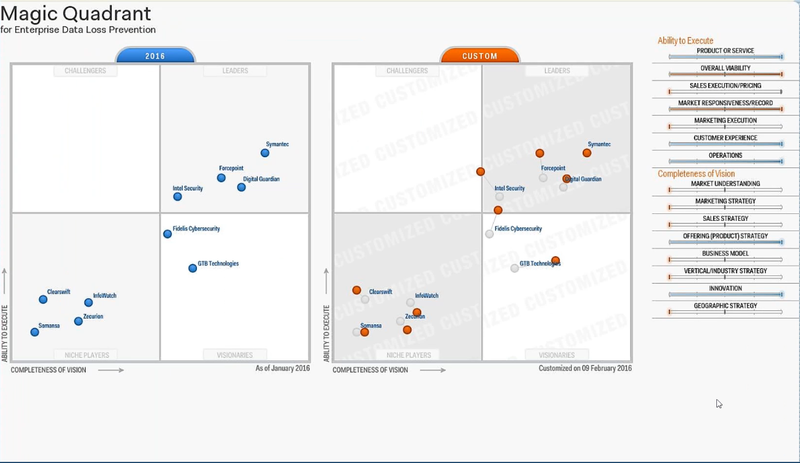 Highly rated by Gartner in their 2017 Magic Quadrant for Enterprise Data Loss Prevention, GTB’s Data Discovery DLP, a facet of GTB's DLP that Works platform, can scan structured and unstructured data, protecting sensitive data residing in Local PC’s, Files-shares, Exchange, PST/OST files, SharePoint, and any ODBC compliant Database. In addition, GTB Discovery can discover the same data in cloud services such as Box, Dropbox, Hosted Exchange, Azure, Office 365, OneDrive, SharePoint, and Google Drive. Scans can be run as a batch process with results sent to multiple event responders. Comprehensive enterprise reporting on file-owners, locations, file types and actual DLP Policies are included. GTB’s Data Discovery does NOT require appliances or expensive servers. Deployed and managed by the GTB Central Console, an enterprise command center. Share the same data security management extensions and policies with all of GTB's Data Protection facets. Performs data classification automatically based on file content. Control sensitive data with customized classification values. Send alerts when data is saved or moved in contradiction of policies. User Based / Automatic Classification. Index and mine data / data sets. Move, Copy, Delete, Redact or apply Enterprise DRM on sensitive data. Generate digital signatures to protect documents when in transit to the Internet or to USB devices and Printers. Discovers hidden data and embedded objects. Centrally manage data security policies and controls across unstructured, semi-structured and structured repositories or silos. Multi-threading technology that can achieve 1 Gigabyte per minute scan speed (with multiple core CPU). Integrates with GTB Enterprise DRM for File level access controls. Scans images with the ability to redact sensitive data. Full indexing system (DocuTieTM) is supplied at no charge for further analysis. GTB's Intelligent Data Discovery can be configured to scan multiple complex big data repositories, data centers, cloud storage and data dispersed throughout the organization, identifying data for explicit protection and analysis. Data covered by Government and industry regulations such as PII, PHI, PCI, GLBA, HIPAA, HITECH, FERC/ NERC/ CEII, FERPA, FISMA, ITAR, SOX, GDPR and others, can be accurately identified. Data scanned can be indexed or cataloged for further security mitigation, forensics and analysis. Once you know what information to protect, GTB Data Discovery can automatically protect that information. GTB Data Discovery provides intuitive and unified policy creation, enterprise reporting, and management to gain more control over your information protection strategy for data at rest. GTB Data Discovery supports multiple data targets. The system is fully AD Integrated where a local scan may be performed for an entire Domain, Organizational units or specific Hosts. Exchange scans support Mail Groups or specific Mailboxes. SharePoint scans support scanning for multiple stores at the same time. Any Database may be scanned to identify unencrypted data in any table. PST/OST files may be scanned with detailed reporting on violations in any Folder inside. Cloud storage is supported as well with the same feature set. Enforcement actions are optional and may be changed from one scan to another. All events are recorded in the GTB Central Console, an enterprise data protection command center, where workflow/case-management and enterprise reporting is available.